Tours begin on time, your tour check-in time is important. You must check-in 15 minutes prior to tour departure time. We can not guarantee we can accommodate late customers. Please OPEN your voucher and read directions, you may need extra time to find us if you are traveling during rush hour or on metro train on a weekend. 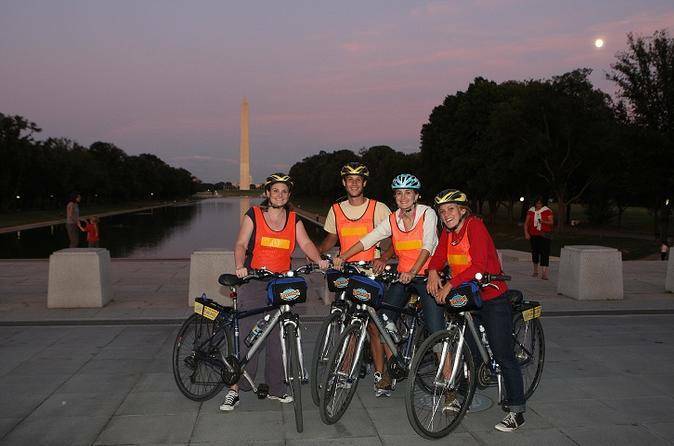 Bike headlights and reflective vests are provided for safety. Tours may be canceled if the weather makes for dangerous riding conditions.